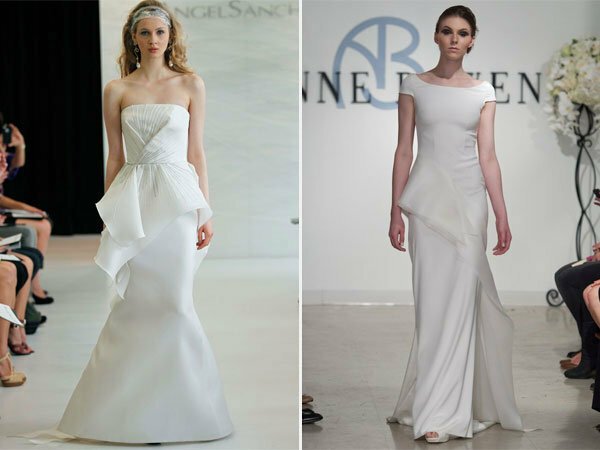 The peplum; It’s a dress with a short skirt-like overlay or ruffle sewn at the waistline that became a popular look on the bridal runway this year. 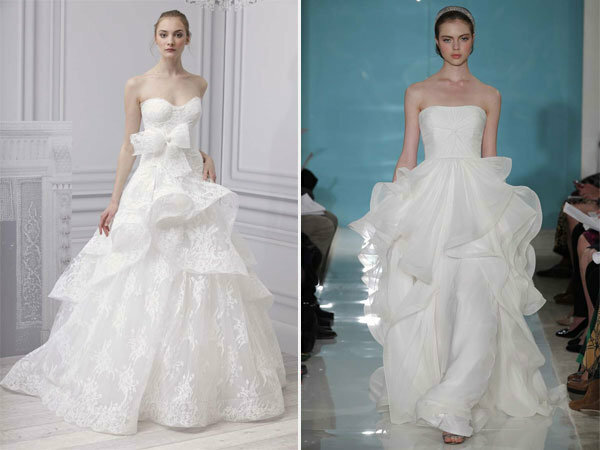 It’s an ultra-feminine and fashion-forward trend that creates a curvaceous silhouette on the bride. Peplum gowns come in a number of different fabrics and styles. Here, a few of our favorites. 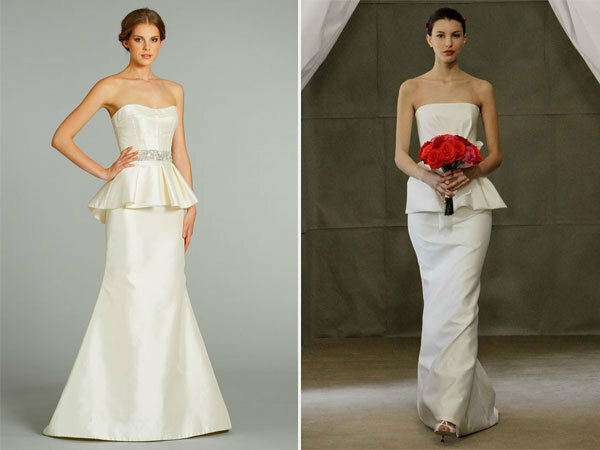 But the peplum doesn’t have to stop with the bride. They make for wonderfully bold and modern bridesmaid and mother of the bride dresses, too. 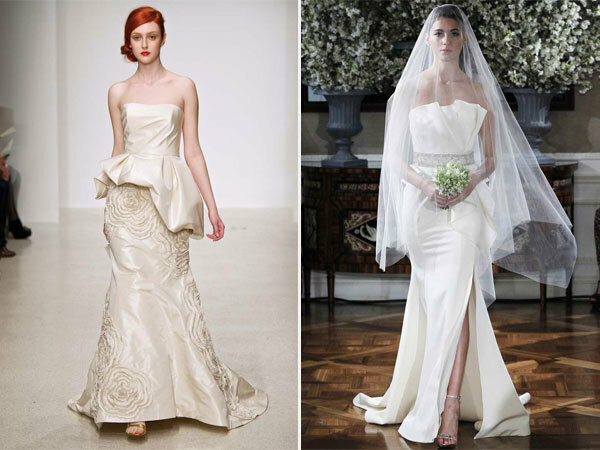 Left to right: Badgley Mischka; Siri two-piece; Siri chiffon peplum.